From the moment you drive on our car wash property, until you are handed your keys to your clean, shiny vehicle, you can trust in our staff at h2o Car Wash & Detail to take care of you and your vehicle. 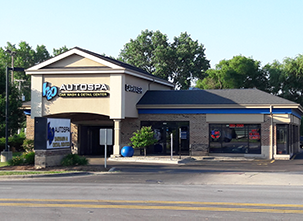 Whether you are coming in for a quick car wash, a full service car wash or a professional, complete detail, we are here to assist you in any way possible. We thank you for entrusting us to be your automotive appearance protection center. We look forward to a truly exceptional, long lasting relationship. We have been in business since 1995...having detailed 250,000 vehicles. WOW! We are competitively priced on "all" of our services. One-Stop shop for all of your car washing & automotive appearance / protection needs.